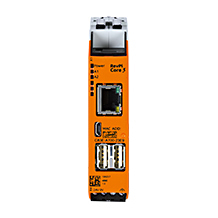 Create, change and transfer a multitude of set values to your control system at a time. Thanks to the integral recipe management you can now easily create data records of your machine visualisation. Now available in the PASvisu Version 1.7.! The IIoT gateway Revolution Pi sends data from our controllers to your cloud. You can thus use and evaluate process data, operating data or energy measurement data, for example, across plants. You thus have access to your data from around the world! In this manner you obtain important information on the status of your plant and machinery. Your benefits at a glance: Recognise potential savings, improve business success and optimise processes. At the Hannover Messe from 1 to 5 April 2019, everything at Pilz will be focused on products and solutions for safe sensor technology, robotics and Industrie 4.0. 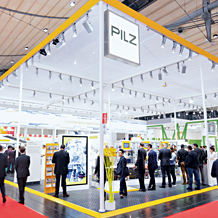 The highlight of this year's exhibition presence will be the Pilz Smart Factory. 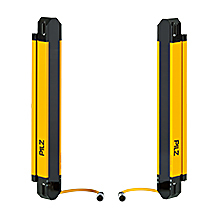 Here you will be able to interact with the new Pilz Service Robotics Modules. Now discover what else awaits you in Hannover!